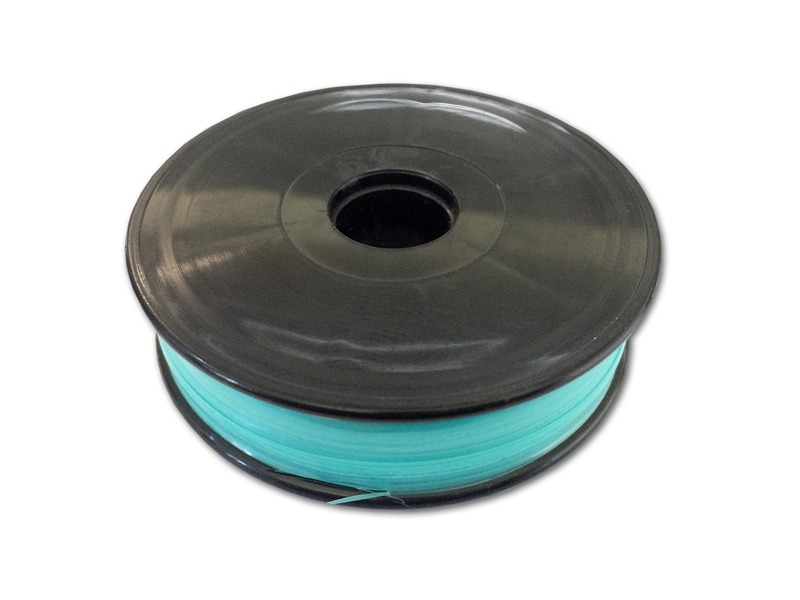 Special 5mm UV-protected line that is designed to vibrate with even very weak wind. 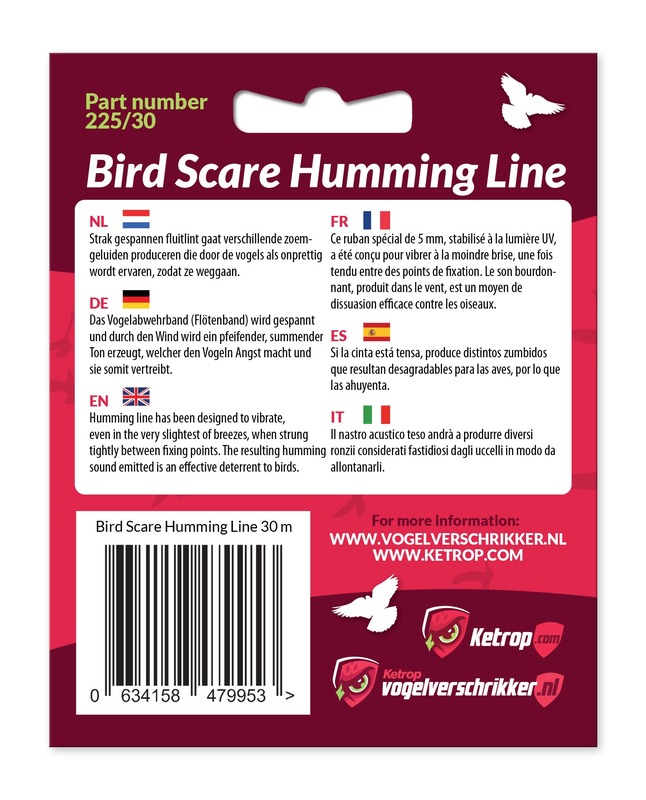 The low sound made by Bird Scare Humming Line is very efficient in repelling birds. The resulting humming sound emitted is an effective deterrent to birds. 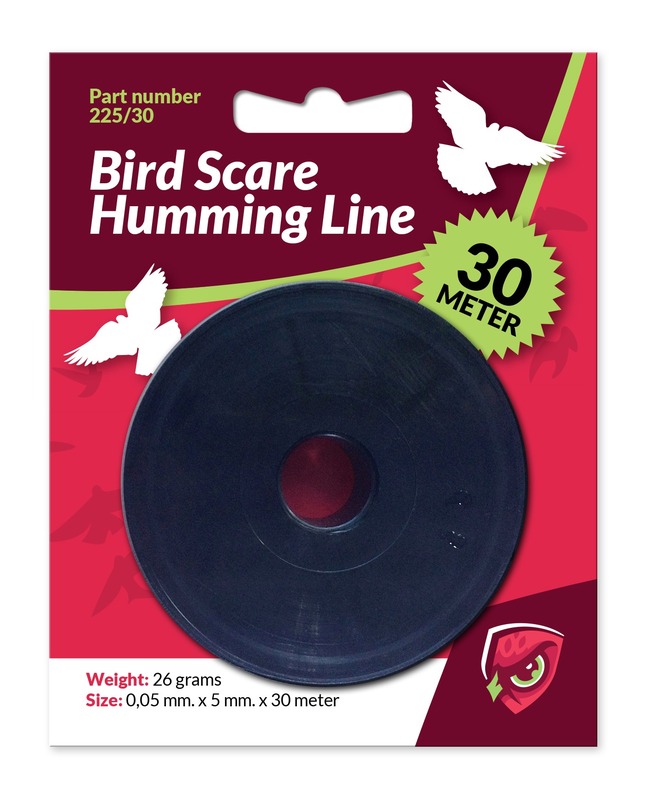 Bird Scare Humming Line has a 5kg breaking strain. Ideal for vegetable gardens, fruit trees, vines, crops and lawns, this monofilament tape will help protect your garden and home from birds and other pests. Length 30 meetrit, width 5 mm and thickness 0,05 mm.